Home ♦ Featured ♦ Bryce Menzies 2016 Baja 500 On-Board Video! 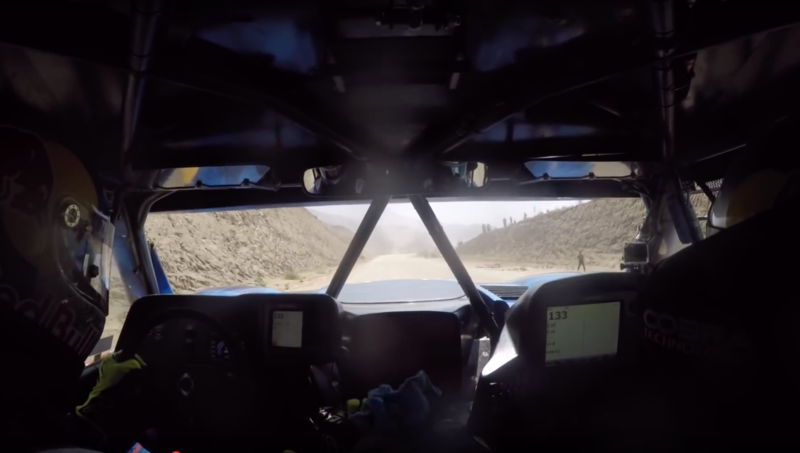 This two part video from Bryce Menzies at the 2016 Baja 1000 is incredible. Not only is clear and easy to see the road, but it’s also a solid 40 minutes of driving so you get a feel what the course looked liked from drivers seat. The initial section is surprisingly fast. Take another look at the co-driver’s dash in the photo above. That’s 134 miles per hour and on a public road in Mexico. This road is properly closed at the start of the race but that’s pretty fast for a giant trophy truck on off-road tires and super plush suspension. Later they transitioned to a smooth dirt road and barely lifted. Here they are again at 133mph on dirt. Bryce went on to finish 6th at this year’s race which was grueling due to 115-120 temperatures outside of the truck. Here’s the in car video divided into two parts. McMaster-Carr Steel half as Strong as Stated!